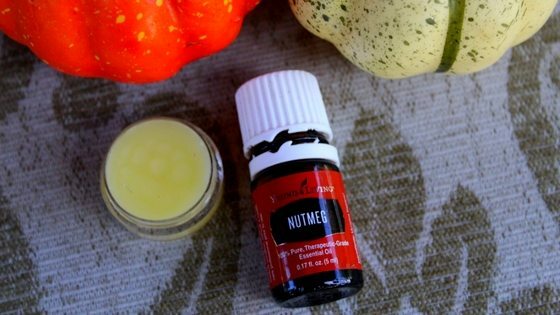 You are here: Home / DIY / Easy Pumpkin Spice Lip Balm Recipe You Can Make At Home! Yes, it’s that time of year – pumpkin spice time. You knew it was coming! Soon, everything will be coming up pumpkin spice, and you won’t be able to get away from it. 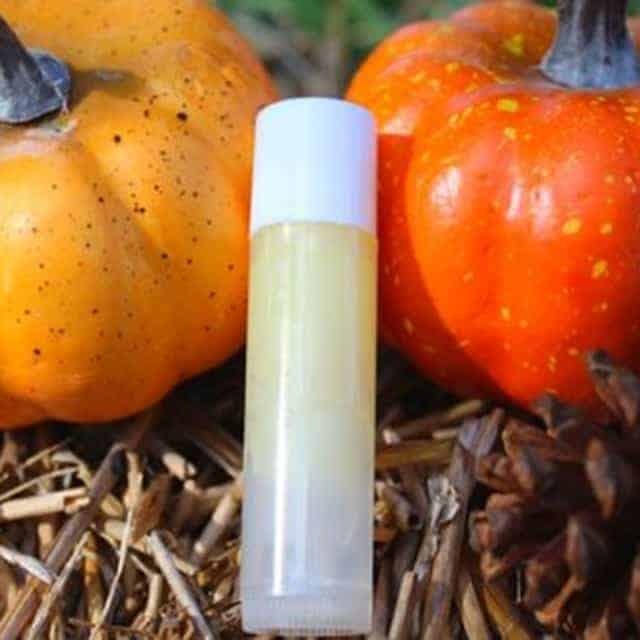 Pumpkin spice lip balm combines two of my favorite things – healthy, all natural lip balm made with beeswax and essential oils! When making lip balm with essential oils, though, do me a favor – don’t buy oils off Amazon or oils that might have synthetic ingredients in it. You’re putting this stuff on your lips and into your body, and you work hard to live a healthy life – don’t blow it on the easy stuff like essential oils. I personally use Young Living essential oils – they’re high quality, pure, and smell great. I get the oils I need sent to my home every month – super convenient, and makes living a green, organic life super simple. You’ll love the scent also – it definitely will remind you and help you celebrate all the wonderful smells and freshness of fall! Funnel like this one to make filling the tubes or pots easier. I use both pots & tubes when I make lip balm. The pots are a bit easier to fill when the mixture is melted, but the tubes are easier for application. Both work well, so choose the best one for you. In a mason jar, combine the oil and beeswax. Once melted, remove from heat & add the essential oils. Stir a couple times to evenly distribute the oils. Next, use a funnel to pour the mixture into tubes or other lip balm container. Allow to cool undisturbed. When cool, cap the containers & use as needed. Love this! thank you for taking your time to share this!